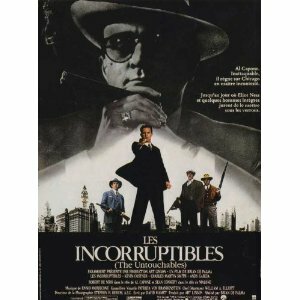 This month I’ve chosen to review two gangster films for you to compare and contrast. 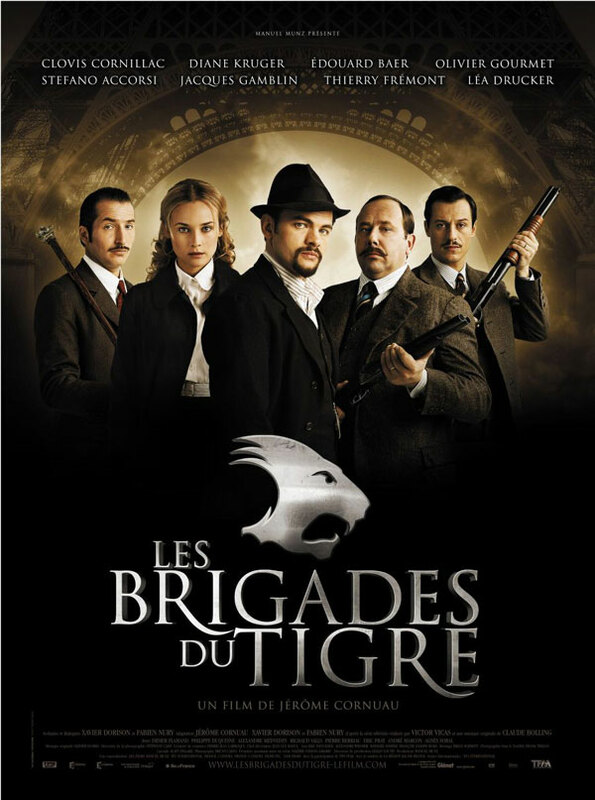 Both stories are based on true events that took place in the early 20th century; both films are adapted from popular TV series in their respective countries, the US and France; and both films’ groups of heroes have catchy nicknames – Les Incorruptibles and Les Brigades du Tigre. FBI agent Elliot Ness (Kevin Costner) is going to bring down Al Capone (Robert De Niro), a powerful gangster and bootlegger in 1920’s Chicago. Based on a 1950’s television series, which was itself based on the true story of the treasury agents who took on organised crime in Prohibition Chicago, this is an amazing film that in ‘old school’ Hollywood fashion, is a collaboration of great talent: it’s written by David Mamet with simply drawn heroes and villains, and crisp, clever lines; it’s directed by Brian De Palma and shot on an epic cinematic scale; the soundtrack is Ennio Morricone; Giorgio Armani designed the costumes; it stars Sean Connery, always wonderful, and who won an Oscar for this role; Kevin Costner is perfectly cast as the classically good looking ‘everyman’; and De Niro–in typical fastidious method acting, took himself to Italy just before filming to devour pasta, bloating out his face to match the famously lurid beach-ball head of Al Capone, and found the tailors that Capone used and had identical suits and silk underwear fitted–is pitch perfect as Capone. Even as this film has a great script, exquisite direction, superb performances, and creates an authentic feel of 1920’s Chicago, it’s fundamentally a hugely entertaining crime drama and simple escapism. Set in 1912, this film is about the exploits of France’s first motorized police brigade, nicknamed the Tiger Brigades, and in particular, the daring group’s first assignment to neutralize crime leader Jules Bonnot and his gang of anarchists. Based on a hugely successful French TV series in the 1970’s, the script is well-written (Claude Desailly, who also wrote for the TV series) and blends huge parts of history and historical figures into the film, such as Minister Jean Jaures and his journal L’Humanite; The Triple Entente; the Russian Revolution & Russian Loans to France; and the ‘premices’ or reasons/situation of WWI. And the direction, by Jerome Cornuau, covers the emergence of a new type of criminality, the innovative ways to fight this new type of crime, and the rivalry between the Brigades, the Parisian Police and other Prefectures throughout France.